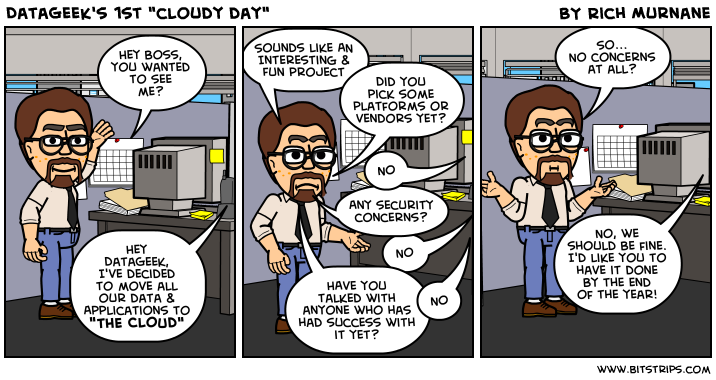 DataGeek's boss has been reading the industry magazines again so here comes the cloudy weather. There's lots of discussion about the "cloud" lately and like all "new" things we'll all have to go out and see how storing our data "out there" benefits our organizations. Fellow Data RoundTable blogger Joyce Norris-Montanari writes a little bit about it here which I'd recommend you taking a peek at.